When I was in Seattle last summer, I wrote about my grief that migraine kept me from living in the city that felt like home to me. A few months later, when friends were visiting for Thanksgiving, I was hit with the realization that Phoenix had become my home. I continue to be surprised by just how much I like living here now. Returning to Phoenix wasn’t in my plan until I made the connection between weather and the severity of my migraine attacks. * I only agreed to come back after Hart and I decided I would try to spend summers in Seattle. That’s not just because summer is hot and stormy in Phoenix, but because I felt like I needed that time in Seattle. Not anymore. I’m no longer angry that migraine forced me to give up my favorite city; I’m thrilled that it has led me to discover Phoenix anew. I don’t wish I lived anywhere else, though I’m still eager to travel and explore the world. I miss my friends elsewhere, but adore my loved ones here. Pine trees and lakes, which I definitely still need, are only a couple hours away (and Ponderosa bark smells like vanilla). My emotional “home” in Seattle was on the sofa in front of the fireplace. I don’t have a special place like that in Phoenix. That bothered me until I realized I don’t need one. My entire house is my center, the whole city is my home. I no longer think “I want to go home” during a bad migraine; I’m already here. *Moving didn’t reduce my migraines as much as I’d hoped when I first returned. See Relocating to Reduce Weather Triggers, on Migraine.com, for the full update. Sometimes I wonder if I would feel better living elsewhere…but then I have to remind myself I’ve lived on two other continents and STILL had migraines (I just wasn’t chronic). I think it’s easy for the mind to wonder if the grass is greener. I agree about embracing the benefits of living in a place where you already have friends/family. When I look back on my old life it’s so foreign & I can’t imagine trying to do all that again in my current chronic migraine state. Mindy, there’s definitely a grass-is-greener tendency, especially for people who are a lot of pain. I am starting to really feel the depression of not being able to go out of the house, not being able to attend events, go out with my husband and friends etc. I have had these for 9 years. Anyone else out there have constant head pain and nausea?? I live in Upstate NY where we have lots of rain and little sun! I have wondered about moving out west to a better climate. Susan, I’m sorry you’re going through this. I had constant migraines for years and know how hard it can be. Unfortunately, I can’t give you any clear answers about whether moving will help. Please hang in there and keep trying new treatments. It can be exhausting to keep at it and terribly discouraging when they don’t work out, but I believe there’s some form of relief out there for everyone, it’s a matter of finding it. I moved to Calgary, Alberta, Canada a couple years ago. Prior to this I had NEVER had a migraine headache but now I live with then constantly as the pressure changes and temperatures climb. I have lived in United Kingdom, USA (California) and Bermuda to date. I am considering moving, anywhere at this point, do you know of any warm places which do not induce migraines? Dear Susan and all other migrainers, I am in my 34th year of migraines and headache disorder. I can relate to all that I read here and I am saddened to hear these stories ! I moved to Colorado 20 years ago and YES my HA’s worsened. My husband and my adult children are here and makes the idea of moving very hard, but seems necessary. My triggers are FOOD and the weather changes. I have a very small amount of foods that seem to be OK, My answer is healing my GUT ! I just keep hearing a variety of remedies to accomplish this. My insurance carrier approves a VERY large QTY of Frova. I have had the best results with this drug. I am super sensitive to all medications so all of the preventative meds caused added problems. Long story short, be sure to check out diet issues as a renown HA specialist asked me if I knew my triggers ? YES, INDEED, it’s most foods. He replied, I am happy you know that since many sufferers do not relate their HA’s to foods. I pray for each of you and continue to try and find answers to my HA’s ! Kerrie, olive on Whidbey Island. “Live?”not really. Weather migraines most of the time have made migraines becom chronic. 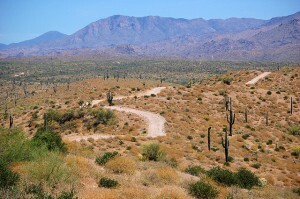 A friend is eager for me to sell my house and move to Tucson with her (trial basis, just rent for the winter). Bright sun, though, is tough. I find grey days on Whidbey a relief. Also I have Sjogrens Syndrome so Tucsons dryness may play havoc. Any comments? Hi Jeannie, I’m sorry to hear you’re having such trouble with the weather on Whidbey. 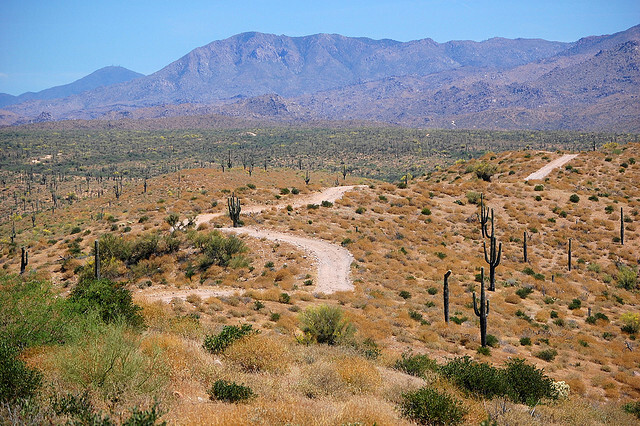 If you can swing a trial stay in Tucson, it sounds like it could be a worthwhile experiment. I’m not sure about Sjogrens and Tucson, though it does seem like it would be a definite concern. While I’m not trying to sell you anything, outdoor TheraSpecs (the company my husband and I cofounded) can be really helpful because they filter the wavelengths of light that are most problematic for people with migraine, which happen to be very strong in sunlight. Like I said, I don’t want to try to sell you anything, but wanted you to know that there are solutions for managing bright light. Olive I live in Tucson and while I still get headaches, I’m down to one mild one and one severe one per month. I wear sunglasses everywhere and carry water everywhere and try to limit my sugar and sleep on my back with a mouth guard. I don’t know if any one thing is helping or just all the little things add up but I love Tucson with all of my heart and even during monsoon season the humidity does not bother my head like it used to in Florida. We also use a humidifier all the time and swamp coolers when the weather permits.